UN High Commissioner for Human Rights Mr Zeid Ra’ad al-Hussein. (TibetanReview.net, Nov27, 2014) – A group of 20 writers, educators, and former political prisoners in Chinese ruled Tibet have asked the UN Human Rights Commissioner Mr Zeid Ra’ad al Hussein not to fall prey to Chinese government machinations in case he is able to realize his desire to visit the region in the near future, reported Radio Free Asia (Washington) Nov 25. They have issued their caution in a letter they have addressed to him in Nov 2014, outlining a range of concerns they wish for him to address. Zeid had said Oct 16 that he was in talks with the Chinese government over a possible visit to Tibet, based on the latter’s undertaking to allow it in response to recommendations by the UN Human Rights Council at the end of its most recent three-yearly Universal Periodic Review of the People’s Republic of China. China has said Zeid’s request for a visit would be dealt with only through the “regular channel” while refusing to confirm whether visit would be permitted. The letter was said to have been sent electronically through the Dharamsala-based Tibetan Centre for Human Rights and Democracy, to be delivered to Zeid’s office at the UN Human Rights Council, Geneva, Switzerland. The authors of the letter have complained about lack of freedom in Tibetan areas to “protect our own environment and to express our own views and concerns”. They have said protests are treated as violations of laws and the protesters detained, beaten, and even killed; that China has turned the Tibetan areas into “zones of torture and repression”. 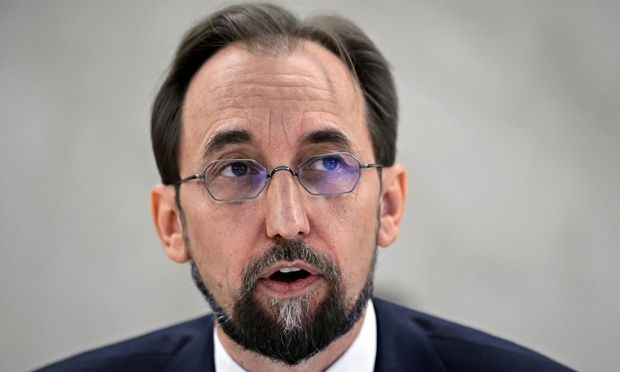 The authors, using apparent pennames, have asked Mr Zeid not to take part in tours “stage-managed” by Chinese officials. They want him to include family members or other persons close to Tibetan self-immolators in his meetings.